The Motionwise Manager motorized adjustable desk helps you stay healthy throughout the workday. 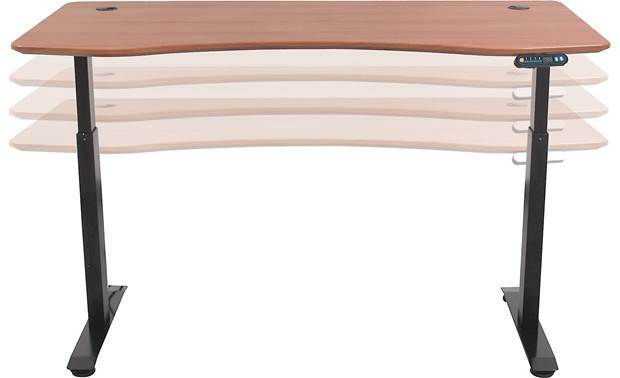 Motionwise Manager - Deep Mahogany - height adjustable 28" to 48"
By buying this product you'll earn up to 570 Rewards points. 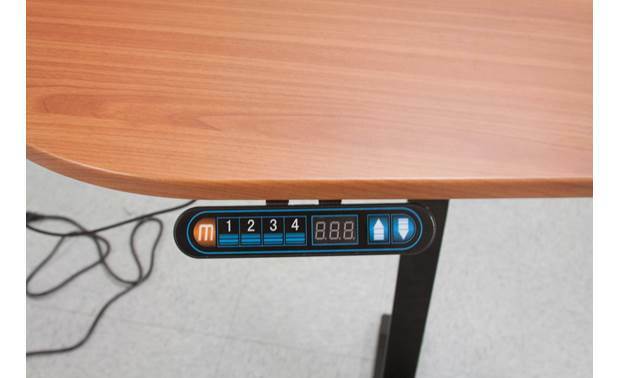 The Motionwise Manager motorized adjustable desk helps you stay healthy throughout the workday. It's easy to raise and lower, so you can alternate standing and sitting, promoting improved circulation and alertness. The sculpted working surface lets you comfortably access your keyboard. And it's made of coated, durable MDF for a professional look and years of service. Openings built into each end of the desktop let you thread cables and cords away from your work area for a clean, professional look. 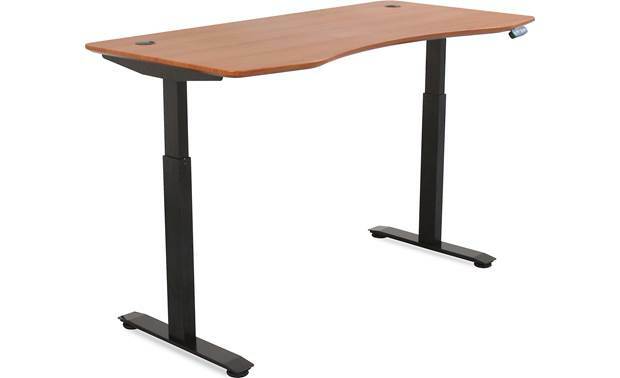 Dual motors raise and lower the desk smoothly and quietly. 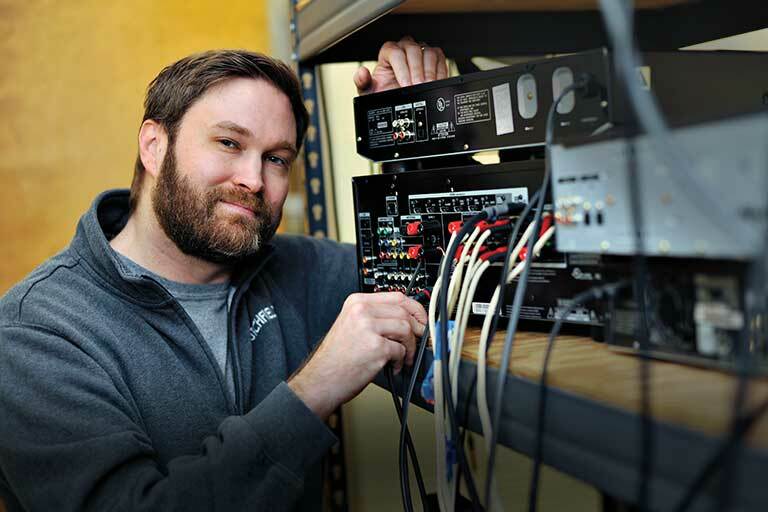 The digital controller lets you choose from four heights, ranging from 28" to 48". The desktop rests on a sturdy steel frame. Adjustable feet ensure you'll have a level working surface. 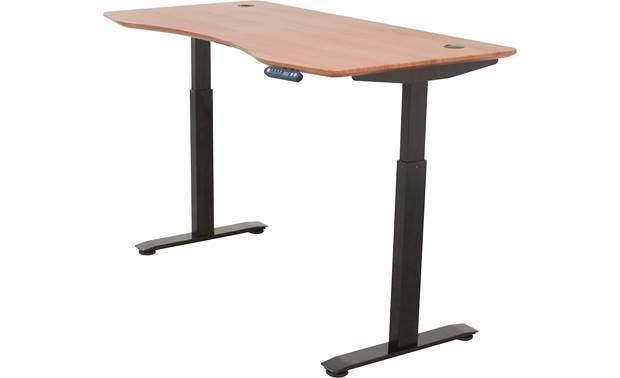 Searches related to the Motionwise Manager 60" motorized adjustable desk.